For most of two centuries, the Clover Hill Reformed Church has stood as a beacon in the community. 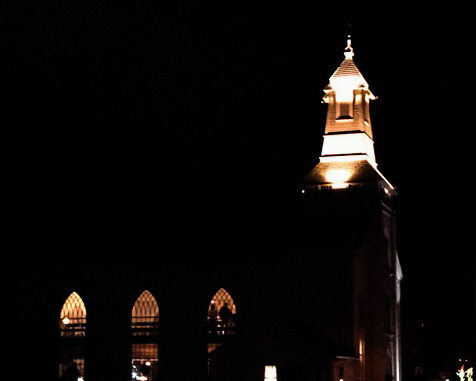 The lighting of the steeple each night is a reassuring sign of hope, of God's presence. It is a signal light, shining in the darkness and pointing us to this truth. even in the wake of December’s celebrations. whose vigil spans three centuries. Circa 1834.
and at night, a lit beacon ascending in the darkness. who later came to settle over the farms of the Amwell Valley. rippled panes glinting in the pale winter light.